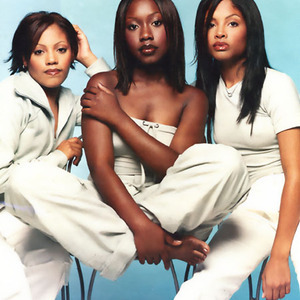 702, named after the area code of their hometown of Las Vegas, Nevada, is an American platinum-selling female R&B trio, made up of three young African-American women: lead singer Kameelah 'Meelah' Williams and sisters Irish and LeMisha 'Misha' Grinstead. 702 was discovered by Michael Bivins of New Edition and made their recorded debut on Subway's hit single "This Lil' Game We Play". Missy Elliott wrote and co-produced four songs from their first album, No Doubt, including "Steelo". The remix of "Steelo" was the first major solo production credit for Elliott's main collaborator Timbaland. 702 was discovered by Michael Bivins of New Edition and made their recorded debut on Subway's hit single "This Lil' Game We Play". Missy Elliott wrote and co-produced four songs from their first album, No Doubt, including "Steelo". The remix of "Steelo" was the first major solo production credit for Elliott's main collaborator Timbaland. "Steelo" was later used, with altered lyrics, as the theme song to the Nickelodeon television show Cousin Skeeter. Elliott crafted two more songs for 702, their second album, the top 5 hit "Where My Girls At" and "You Don't Know". No Doubt won a Lady Of Soul Soul Train Award for "Best R&B/Soul or Rap Album Of The Year by A Group Band Or Duo". The group split after the poor sales of their album 'Star' and lack of promotion from Motown. Kameelah now sings backup for the likes of Faith Evans and Macy Gray. Irish was the only group member to act, as she co-starred in The Brewster Project in early 2004. Orish, twin sister of Irish, died of kidney failure on Sunday April 20, 2008 at age 27. She was part of the original lineup (pre-No Doubt) and filled in for Misha during her pregnancy.